WASHINGTON — NASA received discounted prices for future cargo missions and other “significant consideration” from SpaceX in the aftermath of the loss of a Dragon cargo mission to the International Space Station, according to a NASA report. The report, issued by the NASA Office of Inspector General (OIG) June 28, the one year anniversary of the Falcon 9 launch failure that destroyed the Dragon spacecraft bound for the ISS on a mission designated SpX-7, also raised questions about how NASA handles launch failure investigations, manages risk for cargo flights and assigns cargo for those missions. The Falcon 9 failure, about two minutes after liftoff, resulted in the loss of cargo valued at $112 million, according to NASA. That included the first of two new docking adapters designed to allow future commercial crew vehicles to dock with the ISS. The lost cargo also included supplies that reduced the reserves of food, water and oxygen for the ISS, but did not pose an immediate danger for the station’s crew. In addition, the report stated, “NASA negotiated significant consideration in the form of Adapter hardware, integration services, [and] manifest flexibility” that SpaceX will provide to NASA at no cost. The report did not state the overall value of the concessions SpaceX made. NASA has paid SpaceX $1.7 billion under its CRS contract as of March 31, a total that includes milestone payments for missions not yet flown. That assessment stands in contrast with an earlier review of NASA’s CRS contract with Orbital ATK, which also suffered a launch failure. A September 2015 OIG report concluded that NASA missed several opportunities before and after the October 2014 loss of a Cygnus spacecraft to seek more than $80 million in cost savings on that contract. 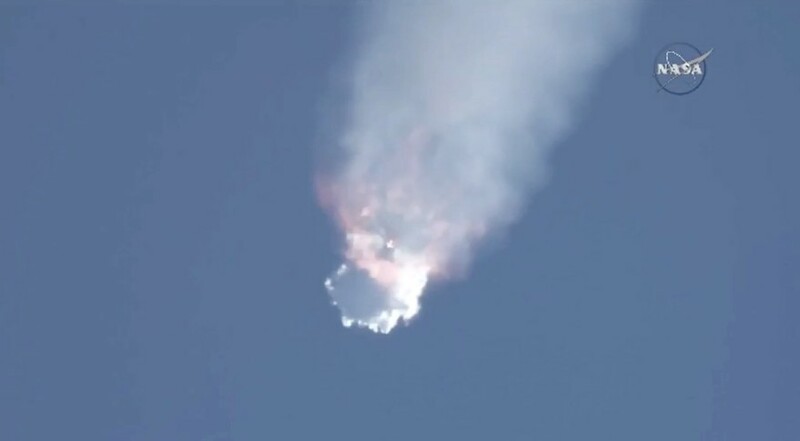 A SpaceX-led investigation into the SpX-7 failure concluded that the failure was caused by the failure of a strut assembly in the Falcon 9’s upper stage. However, the OIG report noted that a separate investigation by NASA’s Launch Services Program (LSP), prompted by its desire to understand the failure in advance of the Falcon 9 launch of the Jason-3 mission, “did not identify a single probable cause for the launch failure.” That report concluded that it could be explained by not just a faulty strut but also by manufacturing damage or improper assembly. While those concerns were resolved to permit the launch of Jason-3 in January and resumption of commercial cargo missions in April, NASA sent a letter to SpaceX in February “expressing concerns about the company’s systems engineering and management practices, hardware installation and repair methods, and telemetry systems based on LSP’s review of the failure,” a report footnote stated. Those conclusions paralleled the earlier Cygnus failure investigation. An Orbital-led study concluded that failure was caused by a machining defect in a first stage engine turbopump, while an independent NASA review concluded the failure could also have been caused by inadequate design robustness of the engine or foreign object debris in the engine. While SpaceX made both technical changes to the Falcon 9 to address its failure as well as process improvements to improve reliability, the OIG report recommended streamlining the launch investigation process for CRS missions. Those changes would also address concerns that company-led investigations may not be sufficiently independent and also not look beyond the root technical cause of future accidents. The report also recommended that NASA improve risk management for CRS missions, disagreeing with the agency’s current approach of placing all cargo in the lowest risk classification regardless of the value of the payload. It also called on NASA to do make greater use of the unpressurized payload capacity available on Dragon missions. NASA agreed with some but not all of OIG’s recommendations in a response by Bill Gerstenmaier, the associate administrator for human exploration and operations, and Terrence Wilcutt, chief of the agency’s office of safety and mission assurance.